In King County arrests by the Washington State Patrol will typically receive a Court Summons and subpoena by mail approximately within 1-6 months after the arrest requiring you to appear for arraignment. Blood cases can take even longer because of delays at the State Toxicology lab. Some Courts will allow you to postpone or continue the arraignment date for a week or two if you have a serious scheduling conflict, and in most cases you can check your court date online. If you fail to appear, a Warrant may be issued for your arrest which may result in your arrest if you are stopped. At the arraignment the Judge will go over basic information about you (name and date of birth) and your DUI or Physical Control case, and read the charges against you. The court will then try to determine if there was Probable Cause (sufficient reason for the police to stop you, such as speeding, swerving, or other traffic infractions) for the arrest, which can be challenged in a later Motions Hearing. The Court will accept your Not guilty Plea and set conditions of your release. This may include posting bail and other stipulations such as not operating a motor vehicle without a valid license or insurance, an ignition interlock device, and electronic home monitoring (EHM). The conditions set depend on your prior driving and criminal history as well as the specific facts of your case. The concern is whether or not you are a threat to the community (i.e. : will continue to drink and drive) or you are a flight risk (not likely to show up for court). While the arraignment usually only takes a few minutes, often you must spend a lot of time waiting for your case to be heard. After the arraignment is complete you are free to leave. You will receive a Pre-Trial Hearing date in the mail, typically 30-45 days in advance. 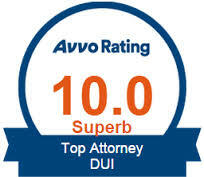 The DUI pre-trial hearing is the court appearance in which your DUI case is often resolved, or a plea agreement is reached with the Prosecutor. If an agreement or plea bargain is not reached the case is normally set for trial. The next step is a Pre-Trial Motions hearing. The failure to bring these motions could mean that your DUI case is not dismissed, or that evidence is not excluded when it would have been. This is when you and the prosecutor say that you are ready for trial. Last minute negotiations might happen here. Witness scheduling and the exact date for trial is set, normally, for the next week. 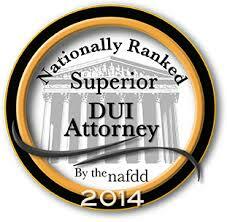 If a DUI Jury Trial is decided on, you get to pick your own jury of your peers, typically six jurors. The jury verdict must be unanimous and the jury must find you guilty “beyond a reasonable doubt.” Usually a jury trial is preferred to a Bench Trial, which would entail a Judge deciding on your guilt or innocence.